Are you suffering from severe tooth decay? Are your teeth badly damaged? Do you have missing teeth? These are some of the reasons why people do not flash their pearly whites in public. If you can identify with such people, it is time to enjoy the dental implant services of Dr. Mark Mann, DDS FAGD. Mann Dental Care, has been serving dental needs of Sugar Land TX for many years, restoring smiles at our dental implant center. Dr. Mann has been dedicated to providing attractive new smiles to his patients using the latest techniques in dental implants. If you are looking to regain a natural smile that showcases bright white teeth, look no further than dental implants with Dr. Mann. 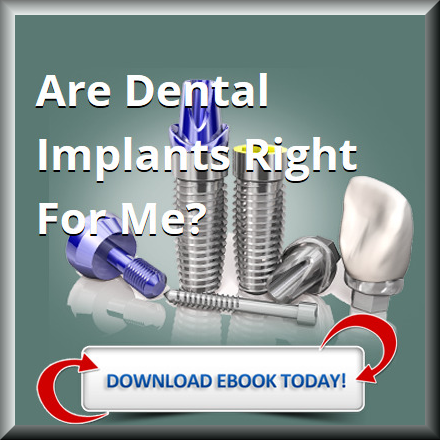 What Problems Can Dental Implants Address? Dr. Mann emphatically believes dental implants are an effective and permanent solution for restoring teeth when giving his patients a smile makeover. Thanks to the advances in modern implant dentistry, Dr. Mann is equipped to provide all his patients with attractive new smiles that look natural and beautiful. You will be amazed at how dental implants can not only transform your smile, but also make you look youthful, self-confident and attractive. If you want to find out more about how Dr. Mark Mann can help you through his wide range of cosmetic dentistry services, call (281) 494-9400 today to schedule a complimentary consultation. Alternatively, you visit Mann Dental Care website to get more information on dental implants and other cosmetic dentistry services. Dental implants have truly revolutionized smile reconstruction. Missing teeth, severely damaged teeth and extreme tooth decay can easily be treated with the help of these implants and restore people’s self-confidence and self-esteem. When the dental implant procedure is performed accurately and correctly, the results can be astonishing. No one will know you have implants, even when you flash a smile. 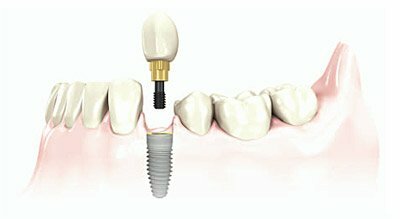 A dental implant consists of a small titanium post or screw that is surgically implanted into your jawbone. After dental implant placement, and a few months recuperation period, the surface of the implant fuses with your jawbone. The result is a sturdy and strong base which can be used as an anchor for attaching a dental prosthesis such as a crown, a fixed bridge or a denture. Dr. Mann has helped hundreds of clients regain their self-confidence and beautiful smiles with the help of dental implants. So, if you are looking for an experienced and skilled dental implant dentist in Sugar Land TX, your search ends with Dr. Mark Mann. Accidents and periodontal diseases cause people to lose a single tooth. If you have lost a single tooth, it is possible to replace it using a dental implant. 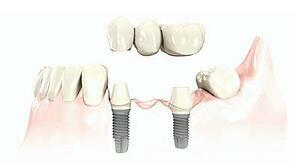 A dental implant makes sure that the original structure of the tooth is retained without any gaps. The dentist places the dental implant in the gap created by the missing tooth. 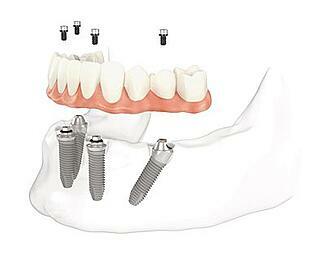 After the implant is placed in the jawbone, a small post known as abutment is fixed onto it. The porcelain crown, which looks and works like a natural tooth, is then fixed on the abutment using dental cement. For various reasons, people start losing multiple teeth after a certain age. Multiple dental implants are one of the best options for such people. Multiple tooth loss is common among aging people or those who have sustained a trauma on the mouth. Even with good dental hygiene, it is possible to lose teeth gradually. Having too many missing teeth is detrimental to your confidence at any age. Several missing teeth can result in speech impairment and digestive problems, as the person will be unable to chew their food properly. Dental implants offer an ideal solution for such a problem, as they improve the appearance of the person and this results in better self-confidence and self-image. After examining the structure and the condition of the jawbone, it may be necessary for a dentist to perform AO4 or All-on-Four treatment. Bone deterioration typically takes place under the gums and is barely noticeable. If there is such a condition then this treatment is essential, as the bone will not be able to support dental implants. The AO4 is a permanent solution to replace all the teeth in the mouth. It makes use of a denture-like arched structure for both the upper and lower jaw. This treatment is done using 4 posts for each jaw (upper and lower). You may wonder why should there are 4 posts. Many dentists find this as an optimal number to provide a permanent solution for missing teeth. A bridge can be sturdily placed on to the jawbone using these four points. The four points provide the support columns for the teeth structure and they also help to take the load of the denture. 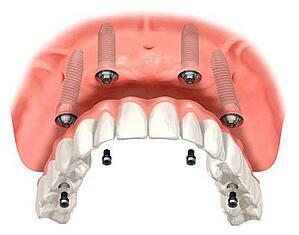 All-on-four dental implants are very similar to the concept of roadway bridges. Just like a bridge is supported using columns at frequent intervals, even the dental bridges use four posts to support each bridge. These dental implants can give you a smile makeover and restore the lost function of your teeth. You will be able to chew, speak clearly, bite and smile without feeling self-conscious. Different types of dental implants can give you a lasting set of teeth and keep you smiling for the rest of your life. Do not let lost teeth reduce the quality of your life or lower you self-esteem. Instead opt for dental implants and transform your face and life for the better.